What the FUN! I just ordered this very combination from Pure Pens before reading your review. 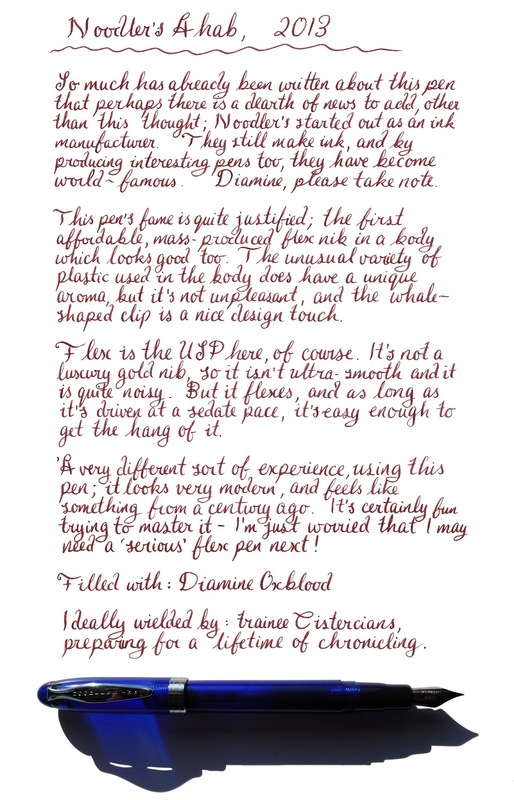 The Oxblood in your writing looks different than what is shown on the website. Let me get my treasure on 17th and it shall be great fun testing the 2 pens, regardless of my lousy handwriting!